Among all the popular water purifier brands, you can easily find the name of Eureka Forbes in the list of top 3 brands. With plenty of features, effective working, quality services and a lot more, you can rely on this brand over other ones. 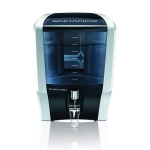 There are many series offered by Eureka Forbes where the popular ones are AquaSure, Aquaguard and many others. All the series are dedicated to the different working mechanism and the popular one is RO, UF and UV purification. It doesn’t matter that you are willing to buy an electric or non-electric water purifier, you will easily get the right stuff for your need with ease. What Makes Eureka Forbes So Popular and First Choice? If you consider most of the water purifier’s buyers, you will find a common factor that everyone approaches Eureka Forbes instead of any other brand. The primary reason is brand credibility, awareness, quality features and heart-warming reviews about most of their products. In addition to this, smart working technology makes those products way better in term of usability that's why it's a better choice. An indication of cartridge life, contaminants amount in water and the ability to adjust water taste make this product way better from others. Even, there are plenty of advanced features that you can’t get at this price point which is offered in Eureka Forbes’ water purifiers. MTDS to enhance the taste of water as per the source. Higher Water Flow which is two litter in one minute. Three stage cleaning using UV, UF and RO membrane. Smart indicators to show the exact status of the cartridge. Display to enhance users interface with the product. Silent working features keep pin-drop silent. One year of warranty for the product and its cartridge. Free installation with most of their series. Simple interface to get water with a single tap of a button. These are some of the best features that you can find easily in Eureka Forbes. If you want an advanced feature then you may have to spend a little bit higher amount and then you are ready to go. Eureka Forbes offers impressive quality services to all its customers. There is a free regular visit from representatives after every third month to check the product. Replacements are easily available for all the products and the service centre workers will change parts on time. You can contact the Eureka Forbes customer support by their official numbers and experts will come to check your water purifier in the given time period. These are all the major factors enhancing the usability of this brand and you won’t face a single issue regarding the quality of product that’s why you can try it out.